OurEnergyPolicy.org | If Cities and States Could Cut CO2 Without Raising Energy Bills, Shouldn’t They? City skylines have long been a symbol of innovation and prosperity. What you can’t see is that these same buildings are some of the largest energy consumers in the United States and are therefore responsible for significant amounts of the nation’s carbon pollution. In August 2015, President Obama and the U.S. Environmental Protection Agency released the final Clean Power Plan, regulating carbon pollution from existing power plants for the first time. Since then, many cities have released Climate Action Plans, setting targets for carbon emissions. The success of these two initiatives are mutually dependent. EPA’s Clean Power Plan requires strong local action, and the Climate Action Plans of cities, in turn, need national policies to ensure affordable, reliable, low-carbon electricity. Georgia Tech has modeled low-cost pathways for compliance with the Clean Power Plan that accelerate the transition from coal plants to cleaner sources of energy. By also emphasizing energy efficiency, these pathways could temper the recent rapid growth of new natural gas combined cycle plants, and making the transition to a cleaner energy future more affordable. A new analysis of the effects of such clean power pathways illustrates how commercial building owners and occupants can benefit from more efficient and more affordable air conditioning, lighting, electronics and other equipment, and from improved building shells as well as rooftop solar systems. For example, the analysis found that commercial building owners and occupants in the United States could realize annual electricity savings of $11.3 billion (6.7%) in 2030, compared to the business-as-usual case, if states were to adopt the Clean Power Plan pathway described above. 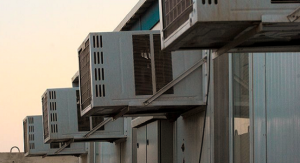 With a focus on energy efficiency, new integrated heat pump systems could replace the less efficient units that are commonly used on the rooftops of office buildings, schools, restaurants and big-box stores, tackling one of the most rapidly growing energy uses in the United States – air conditioning. Other policies include stricter building codes and strengthened equipment standards. These would produce a significant reduction in energy bills and carbon emissions. Are policymakers adequately valuing energy efficiency measures under the Clean Power Plan? Should state implementation plans place greater emphasis on energy efficiency to reduce demand for electricity as a result of these findings? 23 Responses to If Cities and States Could Cut CO2 Without Raising Energy Bills, Shouldn’t They? Energy efficiency (EE) is an important tool for cost-effectively lowering emissions. California has had EE built into its building codes for decades now and, as is widely touted, California’s per capita energy use has stayed about constant while the rest of the country increased by 50%. But EE efforts tend to take a long time to show their effects since it takes a long time to update the building stock. When it comes to climate change, time is not on our side. The head of the Paris Accord has said that we have 5 years to begin aggressively lowering GHG emissions. Another issue with EE is “Jevons Paradox” that says the more efficiently a resource (like energy) is used, the more the total consumption of that resource will be. The paradox can be resolved if the efficiency is driven by regulatory requirements or by putting a fee on the resource (i.e., a carbon fee). The bottom line is that EE is a valuable tool to limit GHG emissions in a cost-effective (and, in many cases, cost saving) manner. But EE is not a substitute for policies that drive the urgent adoption of clean energy substitutes for fossil fuels. Fortunately, policies that drive the adoption of clean energy, such as a carbon fee, also drive the adoption of EE measures. Good comments. You effectively document the strong record of EE in California, but you also note that EE may not be fast enough to address the requirements of a rapidly evolving global climate. Yet California has also shown how quickly EE can be deployed. In the summer of 2000 and the spring of 2001, California experienced widespread blackouts as the results of a variety of electricity market problems that led to supply shortages. The state implemented a range of policies supporting high efficiency appliances and AC. As a result, the summer peak demand in 2001 was reduced significantly (by about 10%) and the crisis ended. That’s quite a rapid transformation. BTW, the role of these demand management programs is not mentioned in the Wikipedia story on the California crisis of 2000. I hope someone will fix that. I’m not sure how to think about your remark: I like to think about “going on a diet with EE” before “having your dessert with renewables.” But if we see the goal as staying below +2ºC warming — as the whole world has agreed — then there is no doubt that we must pursue EE and renewables vigorously. The only IPCC emissions scenario that keeps us below +2ºC (RCP2.6) assumes rapid decarbonization starting in 2020 then it assumes negative emissions for the second half of the century. That’s right, negative emissions! So while EE is a good thing that helps reduce emissions, it will only be a portion of the solution. Rapid decarbonization of our energy system must play a leading role in maintaining a livable climate for our children. Yes, your comments suggest that I need to clarify what I mean by going on a diet first. It’s an approach that’s particularly appropriate when sizing solar (and geothermal) systems. First apply cost-effective EE systems, then size the solar arrays. Alternatively, as is done in some solar installation programs (e.g., in CA where I toured a Grid Alternatives job this summer that follows this principle), they size the arrays to meet 90% of the household’s load, so that the household is still motivated to better manage its energy use. I agree entirely that we are in a “full court press” / “all of the above” mode when it comes to low-carbon options. It is disheartening to see such a simplistic treatment of a complex topic from someone who is a professor of public policy. It is an attractive fallacy to think energy efficiency is a dial that can be set by a central government. Ms. Brown claims that energy savings can be delivered by stricter building codes and heat pumps. However, energy consumption is also a function of cost and price and disposable income and competing energy services, and that is why increasing energy efficiency generally serves more to raise standard of living than to reduce energy consumption. Many are the people like Ms. Brown who confuse EE and conservation, and unfortunately, many of them are making public policy. History teaches that increasing energy efficiency is a natural phenomenon dating from antiquity that we can see in the evolution of oil lamps and wood stoves and steam engines and agriculture and virtually every human endeavor. The 18th through 20th centuries proved that progress is most rapid in free market economies with stable rules and strong competitive forces. Progress is disrupted by market meddling such as quotas and price controls and mandates that reduce the efficiency of market pricing, and also by regulatory uncertainty that slows capital investment. There is no steady state “business as usual” case in a free market economy. Competition and innovation are strongest when not stymied by regulation and price distortion, and those that stagnate, lose market share and die off. Adam Smith first described the forces that drive ever increasing production efficiency in 1776, and Stanley Jevons applied this to the industrial age 90 years later in 1866. The Wealth of Nations and The Coal Question should be mandatory reading for anyone pretending to make economic policy. So should Nicola Tesla’s The Problem of Human Energy written in 1901, which is far more sophisticated than anything written by modern interventionist advocates like Amory Lovins, and which has proven to be far more accurate in its predictions. England’s development and continuous refinement of the steam engine did not derive from Parliament, but from the innovation fostered by a world with infinite demand for energy supplied by finite resources priced by free markets. The transition from steel to aluminum in the transportation sector, which is driven by energy efficiency in smelting, and by energy efficiency in lighter vehicles delivering higher speeds and longer ranges, began more than a century ago — long before there was an EPA or CAFE standards. It is no accident that the energy intensity of the U.S. electric power sector has been increasing rather than decreasing under recent aggressive federal policy, due to state and federal mandates and subsidies to push wind and solar energy onto the grid before electricity storage has matured. And U.S. retail electricity prices have been increasing faster than inflation since 2005, falsifying the thesis of the question being asked in this discussion. Economists performing full lifecycle analyses of all inputs and outputs, instead of focusing on single outputs like Ms. Brown, recognize that policies that force resources to be allocated by rule instead of marginal utility reduce overall efficiency, and can only make one part of a system look better by shifting costs to other portions. LEED Gold and Platinum certified buildings with the stricter standards advocated by Ms. Brown are emblematic of these false economies. Supposedly environmentally conscientious corporations and the U.S. military have been building these hyper-expensive Taj Majals of impractical design made with exotic materials and incorporating every whimsical upgrade that could possibly enrich an architect and engineer, but delivering very low ROI in real performance. I was particularly unimpressed with a LEED Gold facility at the University of Vermont that enclosed gratuitously huge, HVAC-challenging volumes walled with the most expensive and imported exotic wood, and capped with an earth roof that leaked water everywhere, damaging ceiling tiles and requiring a web of ad hoc plastic tubes to drain into random trash cans throughout the facility. My room there also had high-tech water blending valves at each sink that ensured the water temperature continuously changed from too hot to too cold continuously, ensuring maximum wastage. A recent study found buildings in New York built in the 1930s are more energy efficient than recent LEED Platinum structures. A LEED certified fitness center near me has the 10 parking spots for alternative fueled vehicles required to get the certification, even though they are always all empty and represent a useless sunk cost in asphalt and cement and signage and GHG emissions. Prematurely retiring capital assets and replacing them with new assets that require 4 times the capacity to produce the same output is not a recipe for increasing lifecycle energy or emissions efficiency, yet it is precisely what the Clean Coal Plan and New Source Performance Standards require by effectively outlawing coal and mandating its replacement with new wind and solar and natural gas. The metric of energy return on investment (EROI) is essential in evaluating energy generation alternatives. Experts in the field recognize that EROI is well-correlated to cost throughout the lifecycle. Low-cost products are cheaper largely because they require less energy input to produce, and that correlates to lower lifecycle polluting and GHG emissions. Coal electricity is cheap because it is energy efficient, and that efficiency cannot be solely measured at the powerplant smokestack like the EPA and many energy policy wonks are wont to do, but must be measured across the full commissioning and fueling and operating and decommissioning lifecycle. This is also how solar and wind must be measured, and when they are, they are found to have EROIs about 1/10th of that of coal electricity. And do not be naive to think that the steel and aluminum and glass and cement and carbon fiber and neodymium magnets and other components used to fabricate solar and wind farms are not 95% delivered by fossil fuel and nuclear energy, and should have these emissions and externalities charged to their accounts in a proper analysis. Major assumptions made by EPA about carbon capture and storage were used to set CPP and NSPS thresholds, and these have now been proved to be gravely mistaken. Specifically, the Kemper lignite CCS plant in Mississippi is already as expensive as a nuclear plant, is two years behind schedule, and has not yet produced electricity from gasified coal let alone captured any CO2. But EPA used its predicted performance to set new coal plant emission thresholds and to calculate cost and benefit of the CPP. Such bad fumbles by central planners are inevitable, and the world saw their consequences in the demise of the U.S.S.R. and the spectacular failure of Mao’s Great Leap Forward in China. Let’s try something novel and actually learn the lessons of history and not repeat them. The role of government vis-a-vis the economy should be to prevent fraud and market manipulation, and promote competition. Picking favorites and trying to steer only slows progress. Ike: While you appear to support free markets, you are ignoring the major failure of the fossil fuel market. The fact that fossil fuels are allowed to pollute the atmosphere for free has caused what Sir Nicolas Stern calls the “biggest market failure in history.” And while the economic benefits of using fossil fuels over renewables is fleeting, the excess CO2 released by the burning of those fossil fuels will continue doing economic damage for hundreds to thousands of years. While I can save money on my waste disposal expenses by dumping my garbage in your yard, we as a society have decided that that is not the right way to let the market work. And just like it is government’s job to set rules so that people don’t save money by inflicting their costs onto others, it is also the government’s job to put policies in place to ensure that the fossil fuel industry internalizes its external costs. Doing so will make the markets run more efficiently and will improve our overall economy. I will continue to battle oversimplification and lazy thinking, such as the trite, one-sided, and historically bankrupt claims about fossil fuels getting subsidized or getting a free ride for externalities. Every form of energy generation has its resource consumption and waste emission and environmental damage footprint. The proper weighting of each is to normalize to units of energy service delivered, yet that is rarely done. Markets are naturally efficient, and they price in the things that consumers care about. But consumers are smart enough to weigh both costs and benefits, and to naturally consider immediate needs above distant needs. It is natural that markets shift over time in the relative values of different costs and benefits. When people are cold and starving, the value heat and food much higher than preventing a statistical fraction of getting a disease thirty years hence. It is naive and chauvinistic to think that the way we weight costs and benefits today should have been applied in 1930, or 1800, or 1492. We have a much different context of wealth and health and quality of life. It is similarly facile and even immoral to apply the standards of developed post-industrial nations to developing, pre-industrial ones. Fossil fuels have answered to the same shifting market forces as other things over their span of time, and there is no objection to increasing the market value of certain costs such as polluting emissions as society moves along the arc of development. But such regulations need to be agnostic as to source, and need to consider lifecycle emissions, not just tailpipe or smokestack emissions — unfortunaetly this is rarely done. Regulation today has priced in much of the footprint costs, but only for some. Each form of energy has its loopholes. Wind turbines are allowed to deface scenic ridgelines, disrupt land habitat with pads and road networks, and kill endangered avians with impunity. Farmers are allowed to apply pure liquid ammonia to their crops, much of which ends up as nitrous oxide (298 times worse GHG than CO2) and as nitrate runoff poising 3/5th of U.S. surface water and causing a perpetual dead zone in the Gulf of Mexico the size of New Jersey. Electric vehicles are ludicrously considered to be zero-emission while ignoring the huge footprint of lithium battery manufacturing and disposal. All such misapplied and selectively applied regulation corrupts market forces and incentivizes people toward suboptimal behaviors. Also, good economists and policy makers consider the costs and benefits of alternatives via substitution, just as consumers do. Fossil fuel energy is not an alternative to no energy, it is an alternative to generating the same quantity and quality of energy from some alternative source, and the corresponding costs and benefits of that alternative. High energy density and high power density wind and solar do not exist because of physical limitations. They both rely on fossil fuels for their mining, manufacture, transportation, erection, and eventual disposal or recycling because these operations require high density energy. Coal electricity, while dirtier than natural gas or nuclear electricity, is far cleaner than heating a million urban shanty homes with firepits burning wood, straw, coal, or dung. This is the alternative currently facing billions of people in Asia and Africa. Coal electricity can get them out of this misery faster, cheaper, and more reliably than any other method, and the billions and their governments know this. Coal electricity dramatically cleaned up the air in London compared to the smoke from a million chimneys and kerosene lamps. The worst air quality in London was during the 1600s, long before the industrial revolution. Urbanization has been a human phenomenon for 5 millenia, and it has ultimately been lethal and self-terminating, as it overwhelms local resources and concentrates wastes. Electrification has changed that. We can concentrate energy without concentrating pollution. Indoor air quality tainted by a distant coal-electric plant is orders of magnitude better than the air quality in a home heated by a fire pit and lit by candles or an oil lamp. If EPA rules were written wholly out of concern for reducing exposure to unhealthful pollutants and reducing CO2 emissions, household wood stoves and wood boilers and barbecue grills would have been regulated out of existence in the USA long before coal power plants. So Weber and Kingsford and Hardee’s, and all the granola folks in the Pacific Northwest who love their wood and pellet stoves (I used to be one) are all escaping externality costs that fossil fuels are paying. To those who understand the real forces at work, it is not at all strange that U.S. air and water quality are among the best in the world and continue to improve even though more than 80% of total U.S. energy consumption continues to come from fossil fuel. The extraordinary energy and power density of fossil fuels, their low land and water and habitat impact footprints per unit of energy compared to solar and wind and biofuels, and the ever-increasing efficiency of powerplants that consume these fuels together deserve credit for elevating us to such a benign and healthy environment. It is the nations with the higher per-capita energy use that enjoy the longest lifespans, highest quality of life, and best health care. When the benefits of fossil fuels start being counted as rigorously as the costs, we will have a better understanding of how the world really works, and how morally wrong it is of us to throw roadblocks in front of developing nations trying to bootstrap themselves up in the same fashion. It is the high EROI and energy density and power density of fossil fuels that enabled humans to exit that fatal urbanization death spiral and transcend it through electrification to enjoy a cleaner, safer, and better environment. And we haven’t even begun to discuss the transportation sector . . . . If you don’t understand that fossil fuels are subsidized and their external costs (health impacts, environmental damage, greenhouse gas emissions leading to climate change) are not included in their price, there is not much that I or anyone else can say to you. The rest of you post is just filled with straw-man arguments. Of course all forms of energy have impacts. Wind turbines may affect the view and kill a few birds (less than 0.1% of the number of birds killed by house cats), but greenhouse gases released by the burning of fossil fuels are warming the planet and increasing the number and severity of droughts, wildfires, floods, insect infestation and also causing sea level rise estimated to be 3 to 6 feet this century and much more next century. The Earth surface temperature has already warmed more than +1ºC relative to pre-industrial times and is clearly on its way to exceed +2ºC in a few decades and much more later this century. There is no comparison to the damage that fossil fuels is causing and and will cause and the damage caused by, for example, wind turbines. There are fossil fuel inputs to the manufacturing of wind turbines and other renewable energy systems, but those inputs will drop as we move to a clean energy economy. The benefits of burning fossil fuels are fleeting but their damaging impacts last for hundreds to thousands of years. The poor are already being hurt by climate change induced droughts and floods. It makes no sense to build coal-fired power plants in developing countries when they can use distributed solar and wind power instead. In your post you ignore the fact that there are clean and economical alternatives to fossil fuels. It’s not just a choice between cow dung and coal. We have known about the dangers of burning fossil fuels for over 3 decades and, as you suggest, we have done virtually nothing to limit their use. This has probably locked us in to +2ºC warming or more and all the damage, suffering, and death that will go along with that. There is no reason to double down on inaction and let the world warm to +4ºC or more. Our children will not forgive us and they will have no reason to do so. If you think a primary energy source can be subsidized, then you do not understand first principles of economics, physics, or biology. Primary energy is food to civilization, and EROI is its nutritional value. The eater must draw calories from the food. It cannot add calories back to food and survive. Energy and its derivative wealth have to flow from energy sources to civilization, not the other way. And the flow must be massive in quantity, high in energy density, and high in power density because of all the losses in converting raw primary energy resources into various secondary forms that civilization can readily digest such as fuels and electricity. The energy economy underpins the fiscal economy. Energy is the fundamental input for all value added. It mines the raw materials, fashions them into finished goods, sustains and comforts the population, transports everything, powers growth and development, etc.. The energy source with the highest lifecycle EROI is ultimately what carries the entire economy, as its energy profit is borrowed by other industries and lesser energy lifecycles. To put some numbers to this, I can quote data from EIA and IRS reported to Congress in 2010. For example, in 2009, U.S. integrated oil and gas companies received $2.8 billion from the federal government in direct and indirect support including favorable tax treatments and direct subsidies. But they contributed $56 billion in corporate taxes and excise taxes back to the federal government. That is a 2,000% ROI in dollars, and does not include lease and fee payments to the federal government, nor does it include about $12 billion in fees paid to individual states, nor does it include the 185,000 direct industry jobs and the payroll and income taxes from those pay checks. And that all was just the scrapings off the top. The real contribution of oil and gas was in providing 62% of the nation’s energy needs. Fossil fuels are a stream of raw wealth that subsidize the government and the economy, not the other way around. The so-called petro states illustrate the fallacy the best. If any of them stopped pumping oil or gas, their economies would instantly collapse. Oil and gas pay the bills for the government and its citizens. The fact that these governments do not charge their own citizens full retail price for oil and gas is not subsidy of the fuel, it is subsidy of the population. The net profit from the fossil fuel resources is what is sustaining the government and allowing it to have enough surplus wealth to underwrite the population as well. You do a great job of parroting the alarmist soundbites circulating in the media. However you have the facts wrong. The scientific consensus on climate change according to the 2,500 IPCC scientists as published their most recent scientific report in September 2013 disagrees with your assertions. 2. Droughts are not increasing. In fact, the 2013 IPCC report admitted the 2007 IPCC claims about increasing droughts were false. 3. Floods are not increasing. While overland precipitation is up slightly (a good thing), the 2013 IPCC scientists concluded the geological evidence is clear that flooding was worse in the 5 centuries preceding the 20th than in the 20th century. 4. The 2.0 deg C temp rise by 2100 is the prediction of the CMIP model set. However, the 2013 IPCC scientists admitted the models had so badly overpredicting warming between 2007 and 2013 that they could not be trusted. In the 2013 report they explicitly rejected the model predictions and substituted their own best scientific judgment. The range of the coefficients of Transient Climate Response (TCR), and Equilibrium Climate Sensitivity (ECS) were both adjusted slightly to favor the low side, and the recent trend data shows warming tracking according to the bottom of the range, not the middle or top. That means the empirical evidence is for a fraction of a degree of additional warming by 2100, not 2 degrees, which is the 2007 IPCC figure that alarmists refuse to let go. 5. The IPCC makes no claim that wildfires have already increased. The 2013 report only says they may increase with future warming, but there is great uncertainty. Soil moisture is more critical to wildfire probability than ambient temperature, and increased precipitation argues for less wildfires. Global wildfire data is hard to obtain, but U.S. data is clear. The number of wildfires in current years is fewer than it was in 1960, while the number of acres burned is the same. 7. The IPCC makes no claim that insect infestation (or any other form of damage) has already increased or will increase with warming. The report just discusses how this is another thing that we currently do not well understand, do not account for in models, and can only speculate on for the future. Public policy should not be based on hearsay and propaganda, but upon facts and evidence. One of the reasons for perverse policy outcomes is not admitting what is unknown and instead confidently charging forward in ignorance and doing more harm than good. That happens to be the universal story of global warming/climate change initiatives to date that have spent huge amounts of money and hamstrung economies only to increase energy poverty, food insecurity, environmental damage, and GHG emissions in the name of saving the planet. Currently, the health and environmental costs of coal (not including the climate change costs) exceeds the value of the electricity produced so coal power has negative social value. When you throw in the current and future costs of climate change (including losing the southern third of Florida and many coastal cities) coal is the most expensive fuel you can imagine burning. Even with the unfair advantage given to fossil fuels, renewables are still competitive or cheaper than fossil fuels in the Real World (not your EROI world) and that is why the majority of new energy generation is coming from renewables. While EROI is an interesting way to look at energy systems, the real world damage they cause is also important, especially when we are talking about existential threats like climate change. Dan, your worldview keeps running aground on the facts. 1. Florida is doing just fine. So are the ice caps and glaciers on a global scale. The IPCC did not find any evidence for abrupt climate change events or irreversible tipping points or rapid ice loss or sudden inundations in their 2013 scientific report. Nobody credible is predicting the loss of Florida. 2. The majority of new generation in the United States and globally is not RE, it is fossil fuel. Generation is the actual production of electricity. I think you may be confusing generation with capacity. The majority of newly added nameplate capacity last year in the USA was RE, but that is a measure of construction, not generation. It is also a measure of waste, because load growth is virtually zero and we should not be building new plant at all except to recapitalize old plant. However, the perverse market conditions we are under with federal ITC and PTC and state RPS continue to subsidize the addition of unneeded, intermittent, low capacity factor generation and transmission. And the essential partner to new intermittent generation is new, rapid ramp rate, fully dispatchable natural gas generation. Natural gas generation has increased 64% since 2006 in the USA. In 2015 alone, natural gas generation increased 571 GWh/day from 3,086 to 3,657 GWh/day, an 18.5% increase. Non-hydro RE generation increased 52 GWH/day from 765 to 817 GWh/day. So natural gas generation increased 571/52 = 11 times more than RE generation. Your claim was just a bit off. This is EIA historical data available a host of ways from their website. 3. Globally, coal is the fastest growing form of generation. And the ultra-mega-scale 5-8 GW coal plants being built by India, Malaysia, South Africa and others are being funded by China and the Asian Development Bank and Asian Infrastructure Investment Bank so as to bypass the moral posturing of the World Bank and IMF. That trend continuing for decades is a good bet, as total global electricity generation will need to quadruple to bring the developed world to just half the daily ration of electricity energy of the post-industrial developed world today. Your personal assessment may be that coal electricity has negative social value, but billions of people around the world disagree, and for very good reason. Your worldview that we are teetering on the edge of annihilation and coal is a demon pushing us over the precipice is unbalanced and unsubstantiated by the objective evidence. Ms. Brown’s worldview that collective human behavior in the form of national economies can be predicted and even controlled by central planners and their models and policies is equally contrary to objective evidence. I just looked at the early release 2016 EIA Annual Energy Outlook and note how it has dramatically reversed itself on a host of predictions just since last year. MEMS may be enormously complex, but models are built and fed by humans and GI-GO still applies. That’s simply not true. Or are you referring to a specific area within the electric power sector? The energy (BTU’s) required per unit of output has been falling for years and outstripping reductions in carbon intensity by almost 2:1. Energy efficiency has been the main component of the U.S.’s flattening electricity demand curves, carbon emission reductions, and all at a cost that is more competitive per kWh than increasing generation. I’d be curious to know what data you are basing your claim. Joel, Well stated. I agree with your assessment of energy intensity trends. You seem to be thinking of the heat rate of plants rather than the economic term of energy intensity. You also seem to be thinking about only the operational phase rather than the full lifecycle. The energy intensity of a sector of the economy is the energy consumed to generate a dollar contribution to the GDP. The energy intensity of the utility sector has been increasing across the most recent decade because, while load and thus sales have been nearly flat, there has been a huge uptick in capital investment. And utility sector capital investment happens to consume a lot of energy for concrete, steel, glass, rare earths, composites, etc. Unfortunately, most of this capital investment has been for duplicative generation and transmission capacity that serves to reduce the capacity factors of the whole system, further undermining the efficiency and ROI. Ike, You lament that “It is disheartening to see such a simplistic treatment of a complex topic from someone who is a professor of public policy.” Au contraire. My discussion essay is based on decades of experience and two years of research focused on the Clean Power Plan, supported by the Georgia Institute of Technology. My CPP research has produced publications and a website that documents the effort in great detail (check it out at: http://cepl.gatech.edu/projects/ppce/cpp%26b#). My research deploys the Goergia Tech version of EIA’s National Energy Modeling System (NEMS), which is arguably unique and unparalleled in its ability to model the demand side of low-carbon scenarios. It models all sectors of the U.S. energy economy by using linear optimization to find cost-minimizing resource investments to meet energy demand growth based on microeconomic theory. Linear programming algorithms and other optimization techniques provide the foundation with which NEMS develops forecasts of the U.S. energy future. NEMS uses twelve modules, plus a thirteenth integrating module, to simulate various sectors of the energy economy. Its twelve sector modules include: Macroeconomic Activity, Residential Demand, Commercial Demand, Industrial Demand, etc. NEMS performs an iterative optimization process that results in the prices and quantities that balance the demand and supply of numerous energy products. Across these modules and regions, NEMS projects the production, imports, conversion, consumption, and prices of energy, subject to assumptions about macroeconomic and financial factors, world energy markets, resource availability and costs, behavioral and technological choice criteria, cost and performance characteristics of energy technologies, and demographics. NEMS models electric power systems through a regional planning approach that makes use of the Electricity Market Module, and its four constituent sub-modules. The Electricity Market Module performs separate projections of power demand and the cost-minimizing supply necessary to meet that demand for each of the 22 regions based on North American Electricity Reliability Corporation (NERC) regional boundaries (Figure 1). To evaluate cost-minimizing supply choices, the Electricity Market Module uses survey data from EIA’s Form 860, 861, and 923 surveys, as well as NERC projections and data from the Federal Energy Regulatory Commission’s Form 1 survey. These inputs are used to characterize end-use load shapes, costs and performance of capacity types, and other key variables. The demand-side modules of NEMS are based on data for nine Census Divisions. In Commercial Demand Module, NEMS employs a least-cost function within a set of rules governing the set of options from which owners and operators of commercial buildings may choose technologies. Capital costs are amortized using “hurdle rates”, which are calculated for end-uses by year for different subsets of the population by summing the yield on U.S. government ten-year notes (endogenously determined) and the time preference premium of consumers (exogenous inputs to the model). By characterizing nearly 350 distinct commercial building technologies in nine end-uses and eleven types of commercial buildings, the model offers the potential for a rich examination of policy impacts and an assessment of technology choice, energy consumption, price and expenditures, carbon abatement, and pollution prevention over time and across Census divisions of the US. So, the term “simplistic” is certainly inappropriate. NEMS is not perfect, but I do not know of a better national energy system modeling tool anywhere in the world. Please let me know if you can point me in the direction of a superior modeling tool, and I will be delighted to examine it. The global suite of models that comprise the Climate Modeling Intercomparison Project that generate the surface temperature anomaly predictions for the IPCC are likely more complex in their entirety than NEMS, but have proved so fatally flawed in their overstated warming predictions that the IPCC scientists in 2013 admitted they could not be trusted and instead substituted their best scientific judgment. What is simplistic is not the energy models you use but your mental model of how an economy can be controlled from the top down by policy. The whole of 20th century history taught us that top-down controls yield perverse outcomes — i.e., the consequences and results are not at all what was intended by the policy-makers. Germany’s increase in lignite coal consumption and GHG emissions since adopting its Energiwende is a 21st century example of the same. China’s soaring growth happened as it backed off on top-down control and increased market freedoms. Venezuela’s collapse is a result of markets destroyed by the central government trying to control everything. Since you asked, here are some folks who are doing rigorous energy modelling that yields worthwhile results. https://ethree.com/public_projects/cpuc.php. They have developed some sophisticated models (e.g., REFLEX) that better capture all the metrics of the value of electric power based on source characteristics, and they model a stochastic world informed by historical data that better approximates reality than what I have seen from others. Yes, policymakers are likely undervaluing efficiency to the extent they are considering it at all, and SIPs should place greater emphasis on EE as a result of these findings and several other spillover benefits from reduced fossil fuel use/expanded EERE (public health benefits, economic development impacts, etc). EPA felt it needed to eliminate EE as a building block in the Final Rule, but it can still contribute in a number of ways to meeting the goals of CPP. Doing so while avoiding increases in the bills of the average ratepayer is a significant achievement. The next consideration would be balancing the deployment of renewables and the benefits of efficiency with the potential for an inequitable/unprogressive distribution of benefits. Extra care should, and needs to be taken, in order to make sure that the burden of higher rates which likely accompanies these efficiency efforts due to warped regulatory processes do not harm those least-able to absorb additional costs. The correlation between the poorest and those least-to take advantage or know about efficiency programs is probably pretty high. The Clean Energy Incentive Program within the Rule attempts to drive attention towards this issue, but my recent work in the area suggests it will not be a big enough incentive to satisfactorily deal with this issue. More effort will be required to target programs towards these vulnerable communities. You will note that energy efficiency is the “low hanging fruit” of any abatement cost curve. In other words, in a market-based system, it is way to minimize compliance costs. This implies we go to “cap and trade” as the policy strategy. I still fail to see why cap and trade is a dirty phrase. The Acid Rain Program worked like a charm. We can do the same thing with carbon emissions. Allowing energy efficiency investors to earn credits is the economically rational approach. The market will figure it out. You need to include the “least cost of compliance” as an option for crbon emission restrictions. Energy efficiency is clearly an option. If the McKinsey study (included) is any indication, you don’t just minimize cost in a carbon constrained world, you make money. So who would not do that? And if credits are freely traded, it brings down the compliance costs for other Affected Parties (such as coal-fired power plants) who can buy credits from parties who actually make money on these investments. At the end of the day, including energy efficiency (I think) dramatically reduces compliance cost. Matt and Bill, Thanks for noting that EPA should indeed have included EE as a building block in calculating the state carbon reduction goals of the Clean Power Plan. Fortunately, EE remains a qualified source of qualified carbon reduction measures in state plans. This point is often overlooked by those who take a cursory look at the CPP. So I’m pleased that you’ve chosen to flag the importance of EE in CPP planning. And thank you, Matt, for highlighting the importance of being attentive to distributional issues. We do not want CPP to harm those who are least able to take advantage of incentive programs and who could be harmed by any price escalation consequences of new regulations. The Clean Energy Investment Program (CEIP) is an important counter-weight; I’m not surprised that your analysis suggests that it needs to be expanded. And thank you, Bill, for walking through how EE can help reduce compliance costs. This is a critical point. Ike: We get it. You deny that climate change is a serious risk and you like to cherry pick data from the IPCC and come up with you’re personal interpretation of the reports and you ignore the scientist’s own interpretation of what they wrote. You ignore all other data that you don’t like, like NASA’s report that the West Antarctic Ice Sheet has “passed its tipping point” and will add substantially to sea level rise, or the fact that measured global temperature’s last year exceeded +1ºC warming and the first six months of this year was +1.3ºC above pre-industrial. Your claim that the Medieval Warm Period was globally as warm as recent temperatures shows you like to repeat debunked denier myths. This is not Fox News. We listen to what the scientists tell us, and almost all climate scientists agree that climate change is a serious threat that requires urgent action. I’m not going to spend the time to debunk your other claims, as that would derail the question at hand. But I stand by what I said. A call for inaction is not only scientifically inaccurate, it is also puts our children in danger. One of the exciting and promising developments we’ve seen in the Southeast is policymakers’ interest in energy efficiency to address the energy burden facing low-income residents and businesses in the region. States like Virginia, South Carolina and Mississippi are exploring strategies that reduce the percentage of income spent on energy by these vulnerable customers through their state energy planning efforts currently underway. Electric cooperatives have been leading the charge to adopt “opt-in” tariffs that enable customers to finance the cost of energy efficiency improvements to their homes. These programs, when well-designed (as they most often are) enable customers to see savings on day one, while repaying the cost of the improvements without requiring subsidies from other customers. These activities are taking place outside formal planning for the Clean Power Plan and demonstrate the value policymakers’ and key stakeholders continue to to see in adopting energy efficiency to improve quality of life in a region with a higher than average share of poverty. My “Gallery of Clean Energy Inventions” profiles 16 Larger Generators, 28 Smaller Generators, 20 Advanced Self-Powered Vehicle Innovations, 26 Radioactivity Neutralization Methods, 24 Space Travel Innovations, 14 Technical Solutions to Water Shortages, and my own design of a Torsion Field School Network. “Going through the math, a 1,000 megawatt rated coal generator with a 75 percent capacity factor generates about 6.6 billion kilowatt-hours in a year – equivalent to the amount of power consumed by about 900,000 homes in the Northeast USA but only 460,000 homes in the South. In other words, each megawatt of rated capacity for a coal plant in the Northeast generates the equivalent amount of electricity consumed by 900 homes in the Northeast but only about 460 homes in the South. By comparison, a 30 percent capacity factor, 100 megawatt wind farm would generate the equivalent amount of power consumed by about 35,000 homes in the Northeast USA and 18,000 homes in the South. In other words, each megawatt of rated capacity for a wind farm in the Northeast generates the equivalent amount of electricity consumed by 350 homes in the Northeast and 180 homes in the South. But a non-polluting 1,880 megawatt rated Electrino Fusion Power Reactor with an astounding 100 percent capacity factor would generate about 16.469 billion kilowatt-hours in a year, equivalent to the amount of power consumed by about 2,245,000 homes in the Northeast USA but only 1,148,000 homes in the South – all over a year. In other words, each megawatt of rated capacity for the plant in the Northeast generates the equivalent amount of electricity consumed by 1,194 homes but only about 610 homes in the South, the difference largely due to the use of air conditioning year round in the South. In 2012 the USA consumed 3.741 trillion kilowatt-hours of electricity, wherein a total of approximately 227 Electrino Fusion Power Reactors, at a total cost of estimated $38 million each = $8.626 billion + $x billions for cost overruns, contingencies and ongoing maintenance would power the entire USA upon the grid/micro grid. Being that the now use of electricity would be so inexpensive and supply limitless, we can say that its use, over time, may increase up to ten fold [e.g., for snow/freeze proofing roads, sidewalks]. So we would need to build 2,270 Electrino Fusion Power Reactors, in total over time, and this presumes that each reactor’s capacity will not increase above a net of 1,880 megawatts, but such assumption of megawatt size will likely be well surpassed over time, and eventually each Electrino Fusion Power Reactor could be the size of a filing cabinet. A detailed explanation of Gordon Ziegler’s electrino fusion power reactor is in my compilation of “102 Electrical Energy Innovations” – linked at padrak.com/vesperman. Other profiled devices which apparently could also generate vast amounts of very cheap, clean electricity include Oleg Gritskevitch’s hydro-magnetic dynamo, Nikola Tesla’s global wireless transmission of electrical power, Randall Mills’ hydrino generator, Bob Dratch’s thorium power pack, and Clint Seward’s ball lightning fusion reactor. Thus questions such as how to improve energy efficiency, how much should fossil fuels and nuclear power be subsidized, and what should be the optimum carbon tax become either not as urgent or even irrelevant historical anachronisms. I suggest that temporarily taking a ‘blank check’ look at technological innovation can be a useful tool. What the ‘blank check’ conceptual analysis allows is facilitating a top-down comprehensive proactive approach to examining various technologies and inventions which may be able to solve large difficult problems. The organization would proactively seek out inventions that appear to be worthy of commercialization but lack resources or whatever. The organization would have a Technical Advisory Board to evaluate and recommend inventions. Once an invention is selected, a separate LLC would be incorporated to own and develop the invention. Then resources would be proactively applied to bring the invention to the marketplace as a Manhattan Project-styled crash program. The process would bypass writing IPOs/business plans (of which I have written about two dozen) and then typically unsuccessful begging for funding. David Yurth’s “The Hồ Chi Minh Guerilla Warfare Handbook: A Strategic Guide For Innovation Management” is the best I have for conveying most of the elements of my plan. His book may be purchased from an online bookstore for reference. In particular I recommend “Chapter Two – The Innovative Technology Development Pipeline”. A detailed explanation of the inventions development organization is available at my “Power Sources for Regional Fixed Guideway” which is linked at padrak.com/vesperman. It seems careful structuring of the organization would allow reasonably efficient evaluation and commercialization of numerous inventions without extravagant waste of investment money.